There is so much humans have in common. It’s worth celebrating. Along with music and dance, the elements represent a universal language that connects us. These languages nurture shared experiences and provide a means to communicate with others across the globe, and beyond…. 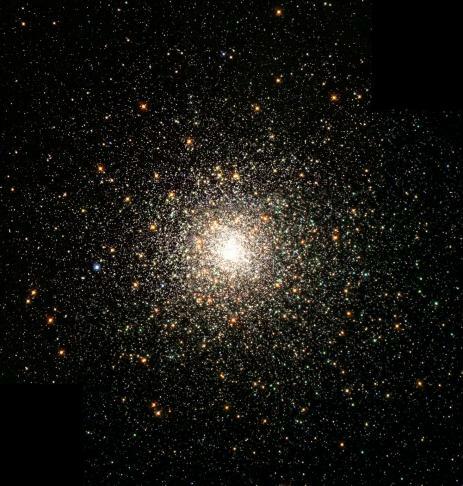 This Stellar swarm (M80 (NGC 6093)) is one of the densest of the 147 known globular clusters in the Milky Way Galaxy. The elements are as relevant here as they are on earth. They are truly universal. Source: NASA. According to Wikipedia, in some contexts, a universal language refers to a means of communication said to be understood by all living things, beings, and objects alike. By going beyond words, these means of communication allow people of varied backgrounds to relate to each other and share emotions and feelings. The language of the elements is a universal one. Some say that the elements speak directly to us. We respond to them and interact with them. We all breathe air, drink water, eat food grown from the earth, enjoy the warmth of the sun. We use earth, wood and metal to build houses and fire to cook our food. We react to extreme weather in similar ways. These and other activities and interests are shared by people all over the world. We can communicate whether we are hot or cold or just fine, or if we would like food or water, whatever language we speak. These common experiences bring us closer together. They connect us. Rainbows, those ephemeral expressions of sun and water, captivate people around the world. They are part of the universal language of the elements. This one was captured on the east coast of Tasmania, Australia. The two years that I’ve been sharing stories and images about these elemental connections have passed quickly. After 66 posts I’ve written about the elements and music, architecture, art, sculpture, philosophy, myths and legends, food, weather, natural ‘disasters’, Apps, alchemy, medicine, astrology, soil/earth, water, metal, wood, fire, rivers, air, personal experiences, global experiences, dragons, elemental ecology, the periodic table, Feng Shui, mudras, our sense of awe and wonder, Oxfam, waves, Indigenous knowledge, Elementals, wellbeing and harmony. Just to name a few topics. The posts have spanned the globe, they present energy as a common thread. These explorations demonstrate the universality of the elements. There are many, many more stories to bring to life. As well as being passionate about the elements, I love to dance. Especially to songs with great rhythms and beats – from Kylie Minogue (go Kylie!) to Midnight Oil, an Australian rock band of the 1980s and 90s. Latin American music also gets me on my feet – from the rumbas and sambas of the ball-room to ecstatic Brazilian beats. Along with music, dancing seems to be a common interest shared by peoples all over the world. Dance and music go hand in hand and give us a way to communicate without words. They are universal languages. Other animals also respond to music, as they do to the elements. There is much to be shared, and much to be celebrated. 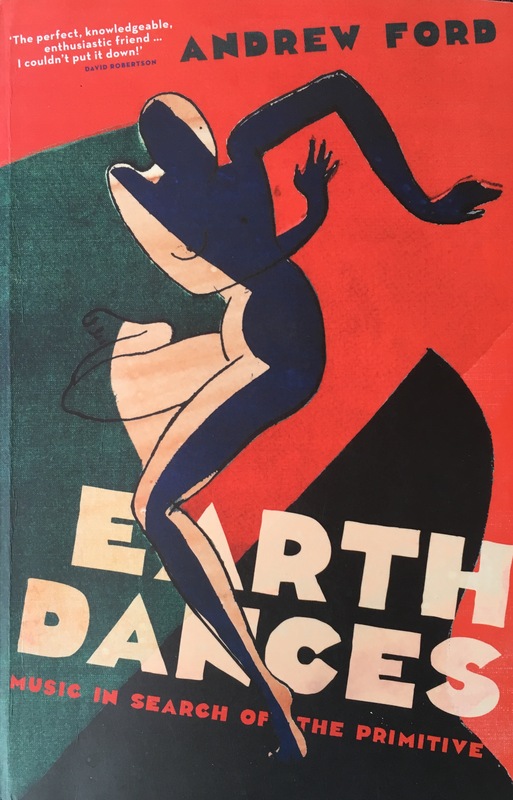 Earth Dances, by Andrew Ford, explores how the voice, the drum, the drone and the dance are in touch with something fundamental in our existence. He takes us back to primal forms of music which he argues restores and resets our humanity. 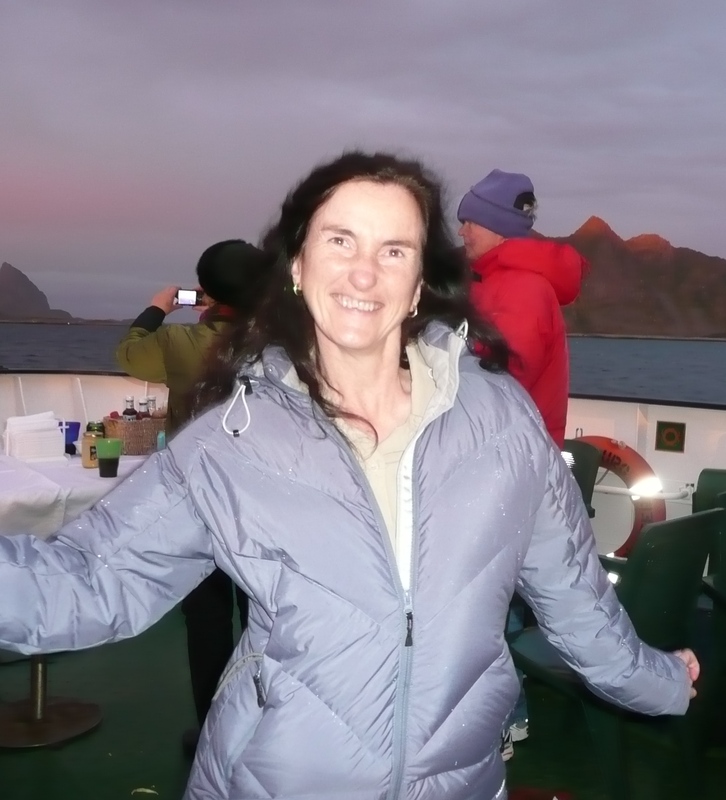 Dancing in the light rain, on an ice-breaker in a Norwegian fjord – a celebration at the end of a wondrous trip across the Arctic. Music, dance and the elements. You can’t get much better, or more universal, than that. This entry was posted in Aboriginal Australians, Air, Alchemy, Books & reviews, China, Earth, Europe, Fire, India, Indigenous knowledge, Japan, Metal, Performing arts, Philosophy, Popular culture, Spirit, Story telling, The five elements, Visual Arts, Water, Wellbeing, Wood, Zodiac. Bookmark the permalink. What a fantastic read Jann, You relate the joy that you show in life so powerfully. Keep on writing and influencing the world. Thanks very much Rod, I plan to do just that. It helps to have people like you to inspire me. Wonderful photo of you dancing….so full of vitality. It is a tradition that makes me think of something I just read in Dorothy Day’s autobiography. She said Tradition is when we give a vote to our ancestors. Your photo makes me think of that. You can tell that dancing really makes me happy Scott. Thanks for likening it to giving a vote to our ancestors. That will stay with me now when I celebrate the beauty of dance.